Summary: One of the most serious injuries a car accident victim may suffer is a spinal cord injury. The impact of a serious car accident can cause severe and even life threatening injuries. It can cause a variety of injuries such as broken bones, lacerations and contusions. However, one of the most serious outcomes of a car accident is a spinal cord injury. In this post, our St. Louis auto accident attorney will talk about spinal cord injuries. When the vehicle come to a sudden halt in a car accident, your body suffers a strong blow. While safety features such as seat belts and airbags can help to some extent, sometimes the vertebra surrounding the spinal cord can become fractured or crushed. In some cases, the spinal cord itself suffers direct trauma. If the delicate cord is torn or severed, it can have serious consequences. 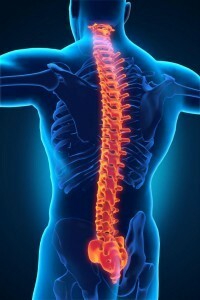 Spinal cord injuries can be complete or incomplete. In complete injuries, there is total loss of mobility below the point of injury, while in an incomplete spinal cord injury, but some mobility is retained. Regardless of the type of injury sustained, the recovery period is often long and difficult. Spinal cord injury can cause irreversible damage. Proper treatment can help prevent further damage, but paralysis often results. Many people who suffer a spinal cord injury have to live with problems such as bladder and bowel dysfunction and loss of mobility. Even with good health insurance, a car accident victim may still be left with huge deductibles after a spinal cord injury. The sad part is that even after completing the treatment, the car accident victim may still not recover fully. They may develop long term and even permanent disabilities that can prevent them from returning to their previous jobs. Some people may not be able to return to work ever, and may be rendered incapable of performing their daily activities. Mounting medical bills and missed paychecks can put car accident victims in a serious financial turmoil. So, it is important to get in touch with an experienced St. Louis car wreck lawyer who can help recover adequate compensation for your injuries from the at-fault driver. An experienced lawyer can ensure that that your rights are protected.